It is not often that you will find an article on canaries illustrated by an engraving of a mass murder, but believe me, it is relevant to the history of the fine spangled sort. 1572 is not the proudest year in French history. 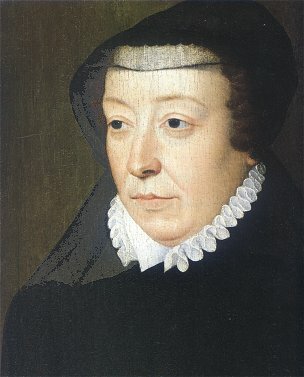 After a decade of civil wars between Catholics and Protestants, an attempt by Catherine de Medici to reconcile the two religions through the arranged marriage of Henry Navarre (a Protestant and future King Henry IV of France) to her daughter Princess Margaret (a Catholic) backfired horrifically. Tensions in Paris were running high, plots and rumours abounded, and the population (strongly Catholic and incited by radical priests) was enraged. The attempted assassination of Admiral Coligny, the military and political leader of the Huguenots, was the spark that ignited the fire. According to tradition, the attempt was instigated by Catherine, not least because it would help to strengthen the Valois dynasty, of which she was the matriarch. There is no direct evidence for that, but most historians are agreed that she was complicit in what happened next. Fearing a Protestant backlash, she was almost certainly involved in the decision to strike first and eliminate the Protestant leadership while they were still in Paris. The city gates were closed on 24 August, St. Bartholomew’s Day. Coligny and other leading Huguenots were murdered. The Parisian mob ran amok, hunting down and killing Huguenots, and pillaging their property. Over a thousand bodies were washed up on the banks of the Seine. The massacre spread to other towns, and while estimates vary, perhaps 10,000 and possibly as many as 30,000 Huguenots were slaughtered across France. As one historian noted “St Bartholomew was not a day, but a season”. Henry survived and eventually became king, but only because he converted to Catholicism, famously declaring that “Paris is well worth a mass”. His Protestant sympathies were not forgotten however, and in 1598 he signed the Edict of Nantes which gave the Huguenots the freedom to worship amongst other civil rights. Religious tolerance and the integration of Huguenots into French society were now enshrined in law, although in practice they had mixed fortunes. Religious tensions remained close to the surface, and would erupt in the seventeenth century. 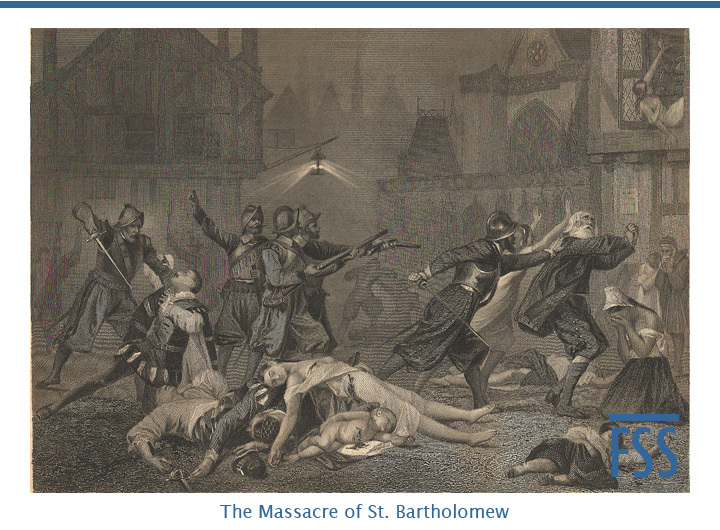 You will often see references to the St. Bartholomew’s Day Massacre in canary books, as though it was a defining moment in the history of the development of fancy canary birds. That is not so, but it was a portent of things to come. Congratulations, I’m not into canaries but have found this a brilliant read from start to finish.